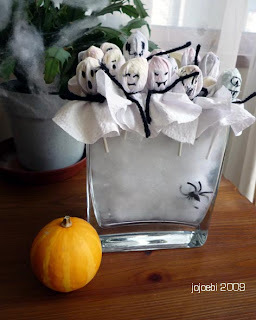 Here are some quick and easy Halloween scrap busting ideas, Sew Mama Sew are having a whole month of scrap using ideas, I already have several bookmarked. 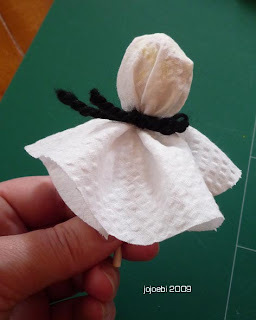 First up, the ghostly trick or treat bag. tape or ribbon for the strap. 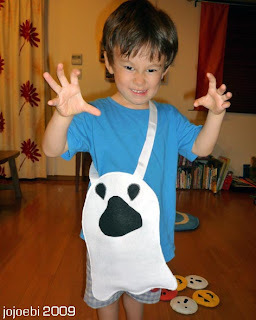 Draw a ghost shape onto one of the white pieces of felt, add a big mouth. Cut out the shape and the mouth to create a hole. Use zig-zag stitch and sew on the eyes. Use the front piece as a template and cut out ghost shapes from the other two pieces of felt. Sandwich the three pieces together, with the black in the middle. Add a few pins to hold it in place. Before you sew the edges tuck each end of the tape into the head and pin - you might want to try it on the child so you can get the right length. Use zig-zag stitch and sew all the way round the edge. Finished. 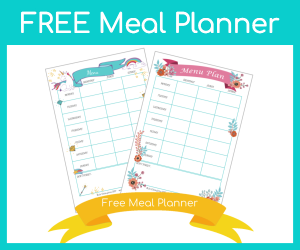 Cut out circles, you need two per bean bag, mine are 11cm diameter but they can be any size. 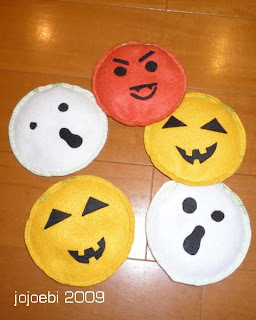 Make a face, I used iron on felt but you could sew or glue the faces on. Ebi-kun designed most of ours. Place two circles together (with the face on the top, face up) Zig-zag around the edge but leave a 2" hole. Fill about 75% with beans (job for a little person) the close the hole with a bit more zig-zag. 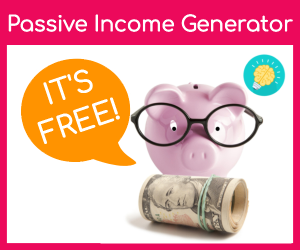 If I have time I want to make a ghost with a big mouth to the throw the bean bags into, if don't we will be using a bucket! 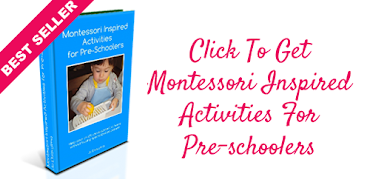 I always did these with my kids classes when I was teaching and they were always a big hit. One company I worked for were very tight with the Halloween allowance so I used tissues instead of fabric, the fabric looks better though. Something to tie with, I used wool this time but in the past I have used elastic bands, string and twisty ties. 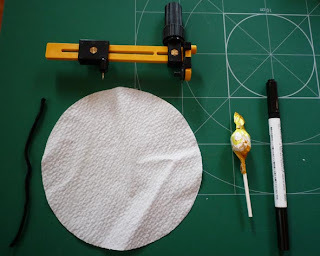 Pop your lolly (wrapper still on) into the middle of the circle, gather it together and hold it at the neck. Tie around the neck, being ambidextrous helps here, if it is a bit tricky ask a little person to hold it for you. Then ask a little person to draw on a spooky face. 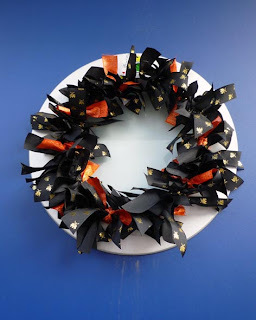 And finally, a Halloween wreath. a plain wreath or something the right shape to cover. Ribbon in black and orange. Cut the ribbon into equal lengths, it will depend on how thick your wreath is so have a play around with a couple of pieces before chopping it all up. Tie the ribbon pieces and secure with a knot, repeat all the way round. 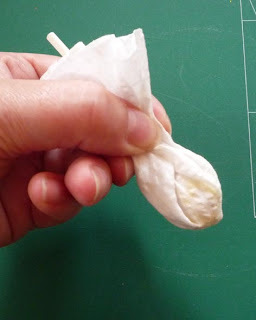 This is a perfect craft to do when you are watching TV and doesn't actually take that long. 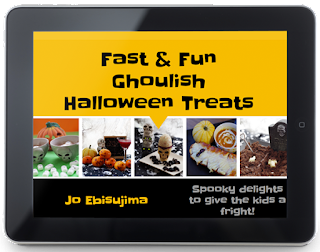 Looking for some Fun & Fast Ghoulish Halloween Treats? 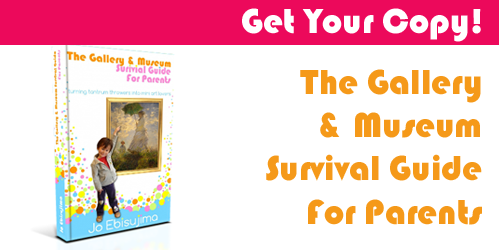 Grab the ebook and bonus labels pack too!